Q: Could you please introduce yourself? A: Yes. I am C.R., the Community Manager of Lamden. I manage our social media channels, with our most active being our Telegram: t.me/lamdenchat. I also am part of the Lamden Marketing Team, specializing in outreach and awareness of Lamden and the suite we are producing. Q: Could you provide our readers with a brief introduction to Lamden? A: Lamden is creating a suite of open-source developer tools that allow anyone to launch their own private blockchain, and have it interact with any other chain. Lamden’s developer suite will help give smaller companies a chance to build what are currently expensive and intricate blockchains in a matter of minutes. Q: What are the problems with current blockchain implementations that you aim to solve? A: Blockchain as an enterprise tool is still in its infancy. We have not even seen the standardization of blockchain as an alternative currency, which is the use-case it was developed for. Even less developed are private chains that exist in an isolated system for the benefit of a smaller, more controlled network. These are exactly the type of chains businesses can utilize for their means, be it for exclusive internal use, networking data between business partners, or a hybrid of both. The Lamden suite will allow for these types of blockchains or blockchain networks to be created seamlessly without requiring special blockchain developers. Q: It seems your model centers around private blockchains. Is the Lamden suite only for the private sector? A: Of course not. This is one of the most useful applications that we see of the suite, especially because the tools are all free to use and open-source. This will also allow anyone who has a use for the tools to openly have them available, be they developers of blockchain projects or even individuals who want to use blockchains for their own personal projects. Q: Can you explain the different tools Lamden is creating and what they do? A: Our three main tools are Flora, Saffron, and Clove. These three are the heart of the Lamden suite, together making up our developer suite of tools that anyone can use to build a perfectly specialized blockchain. Flora is our smart contract manager, and will allow users to create safe, customized smart contracts in seconds. Saffron is our blockchain tool creator that will allow the creation of customized chains based on basically any public chain of choice. Finally, Clove allows for atomic swaps that facilitate the connection of private chains to create a interdependent ecosystem of blockchains. At 10,000 transactions per second, these tools together should be enough to satisfy any kind of blockchain model an enterprise would need, no matter the size. Q: So, it seems you strongly believe that the Lamden system is needed for enterprises. Can you provide some real word use-cases that we can expect to see? A: It speaks enough on practicality that any business needing blockchain can make one quickly without hiring blockchain developers. To delve in further scenarios: imagine a network of businesses that trade between each other but want full transparency with each other in terms of the products and their histories. Lamden can build blockchains for all of these businesses, with all blockchains being able to interact with each other. It also practically opens the doors for a business to accept payments in cryptocurrency that can be swapped straight afterwards as they prefer. Q: Please explain how the Lamden protocol token (TAU) works. A: Tau is the agnostic token that brings out the full potential of our blockchain and all chains built with our suite. Firstly, it will speed up transactions for those wishing to access the 10,000tx/s speed, as the mainchain will only allow 1 tx/s for non-Tau users. Secondly, it will allow for atomic swaps – or swaps between blockchain assets – to create a blockchain ecosystem. Finally, Tau will also be used to swap between any of the known cryptocurrencies through our upcoming decentralized exchange, LamDEX. Q: What is on the roadmap for Lamden moving forward? A: We’ve actually revised our roadmap just a few days ago to reflect our quick progress. The roadmap can be found here (hyperlink:lamden.io/#roadmap). We are currently using the Clove atomic swap protocol to develop the LamDEX exchange. We will first be working with our Clove partners to beta test the system so that we can make sure it is developmentally ready. We are also going to release an updated whitepaper in a few weeks to reflect all our development updates as well as the introduction of masternodes in our new governance model. Q: With all the different projects out there, some with similar goals and similar technology, what does Lamden have that will make it stand above the rest and revolutionize the space? A: As blockchain technology speeds ahead, we cannot forget that this technology needs to be made available on larger and more commercial scale. 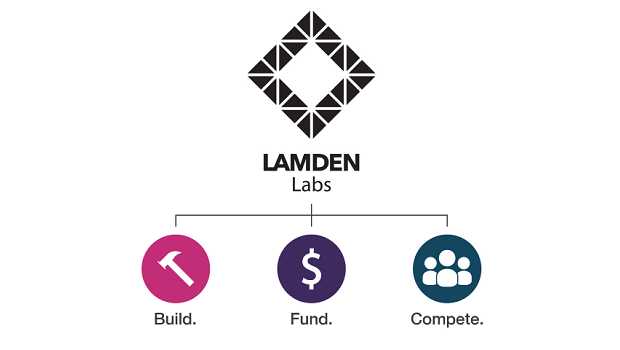 As with practically all other new inventions, opening the doors of commercialization will make blockchain technology truly change the word, and Lamden will provide the tools to make this commercialization possible. We are open-sourcing the tools to further guarantee their widespread adoption. Q: Can you provide any resources for reading more about what Lamden and what it does? A: Sure. We of course have our website which breaks down all the basics, but if anyone wants to read more particularly about the topics discussed here, they can find many such articles and other updates on our blog. I also particularly recommend reading about the way Lamden is addressing the enterprise blockchain problems here, why many businesses will need blockchains soon here, and what why our tools are will facilitate blockchain adoption here.